The key to using aromatherapy products – is to be consistent -if you are- the results may surprise you over time. The balm is very soothing ,comforting and if you’ve never had a firm hand massage or foot massage with Lavender – you are missing out. You can also massage a little into the inside tips of your dog’s ears if they are stressed. This is my most ordered product by massage therapists. The balms I make are all very concentrated – so the 1 ounce Lavender balm will last for 2 to 6 months for the container – depending on your stress level. Lavender is associated with feelings of contentment, improved cognitive performance (some measures) and mood as well, and has also shown other mild sedative and calming effects. It’s also been shown to reduce cortisol levels. It can soothe babies and new mothers alike, promote positive mother-infant interactions, and promote sleep in infants, and promote deep sleep in men and women, as well. This can be a great choice for anyone trying to relax for sleep or feel more calm and relaxed during the day. In a study done by doctors who were treating patients who have lost their sense of smell have found that a life without fragrance may lead to severe anxiety and depression. 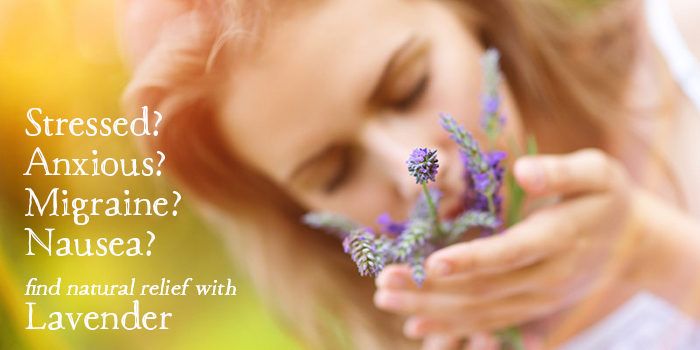 Smelling is linked to the part of the brain that controls our moods, emotions, memory and learning. The part of the brain which processes smells is the center for memory. I began using the Lavender Comfort Balm 16 years ago when I cracked a very expensive mouth splint mouth splint in half. I’ve used it every night for all these years – and then I began testing the Crabby Girl Chill-Out-Balm and noticed how well I slept at night. This balm has exactly the same amount of Lavender as the Lavender Comfort Balm. The minute I feel anxious or crazy, I will apply one of these two balms in my nose. It becomes second nature to use the products consistently when you see how well they work for stress and sweet dreams as well as when you feel an anxiety attack or panic attack coming on. 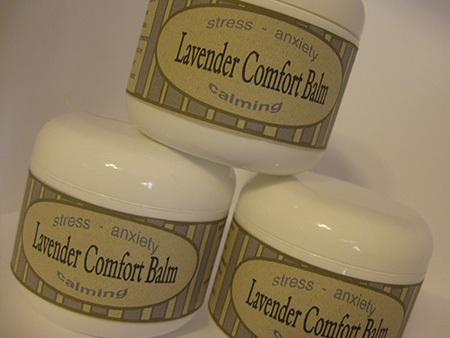 Click here to purchase Lavender Comfort Balm.